$300 Million Lawsuit: The First Steps to Winning? Philip Morris USA must pay $300 million dollars in compensatory and punitive damages to former smoker Lucinda Naugle. The woman brought the lawsuit against the tobacco company because she claims that the company committed fraud against her. How Can I Win a $360 Million Settlement? Have you ever wondered how an attorney knows the value of a case, or settlement before they decide to take on the client? 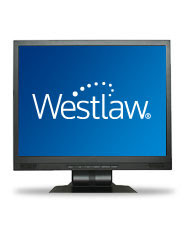 West eLearning Center has free lessons to show you how to use a tool on Westlaw that evaluates cases. This solution provides reports that enable you to evaluate both the dollar valuation of a case and the likelihood of success of a case.